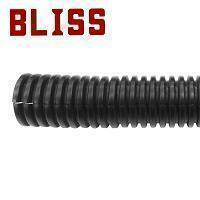 PP Flexible Conduit(P2017) - Bliss Yih Enterprise Co., Ltd.
Light weight, portable, easy assembly, improved efficiency, reduced costs. Wire harness for automobile, light, flexible. Temperature range -25°C ~ +80°C. Polyamide (Nylon) 6 (PA6) is available, temperature range -30°C ~ +105°C.